If you’ve lived in Texas for any length of time you’ve heard about how “if you don’t like the weather around here, just wait a minute and it will change.” It might be an old, tired cliche, but it’s also true. The rapid changes in our weather can wreak havoc in a number of ways, including the operation of your garage door. Action Garage Door would like to share some information that can help you deal with whatever effects the elements may have on your garage door’s operation. While it’s rare, in some instances the rays of the sun can keep your garage door from closing at certain times of the day. If your home faces east or west and your door simply refuses to close completely, it could be that the rays are hitting your door’s photo sensors. As a result, your door may “think” that there is some sort of obstruction. Once the sun moves, your door should once again operate normally. Not only can heat and humidity make you miserable, they can also make it very difficult for your garage door to operate properly. When the summer sun starts baking, the temperature in your garage can reach well over 100 degrees. This can have an adverse affect on your door’s electronic system that may require an adjustment by a professional. In many instances, the heat/humidity combination can keep your door from either closing properly or remaining closed. 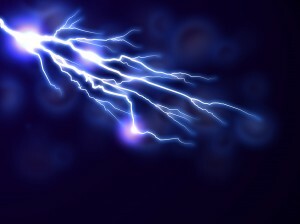 While most people associate power surges with damage to your computer, television and other electrical components, a surge can also cause a great deal of problems for your garage door. If the system’s circuit board is damaged, you’ll be faced with either a very expensive repair or a complete replacement. You can find a single-outlet surge protector at your local hardware store that can help ensure you never have to deal with this issue. The experts with Action Garage Door can help keep your garage door working correctly no matter what the elements may dish out. Call us at 817-204-0917 or contact us online to learn more.